We all experience negative emotions. When we experience something unpleasant it can be hard to look deeper into those feelings. But if we can allow a little space for negative feelings before our quick reactions, we can help oursleves to manage and steer our negative emotions better. With practice, you can even lessen them. 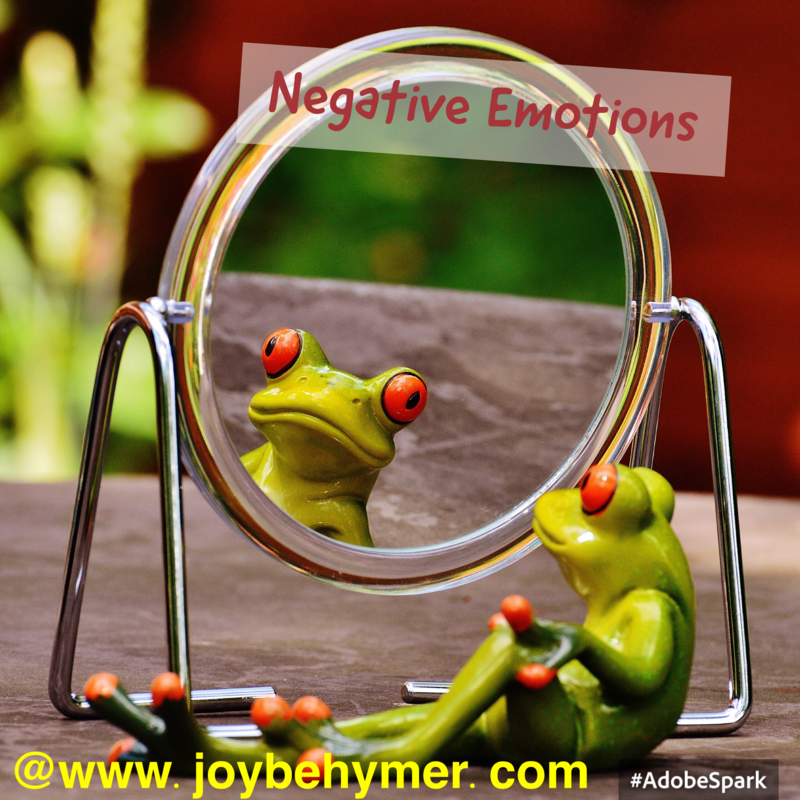 Something that may be hard for us to understand is what triggers our negative emotions. We can often be quick to blame another person, but the people who trigger these negative emotions are messengers for unhealed parts of our being. When we are triggered, we usually respond with our default patterns. These unhealed emotions can show up as anger, aggression, hurt, blame, and simply argumentative behaviors. We aren’t always taught how to deal with or respond to negative feelings. It is also something most of us struggle with. When we habitually blame someone else for triggering our negative emotions, it can become our first instinct. It may be easier to work through and grow if you can become more aware initially of when you are feeling these negative emotions and step back a little to try to see what exactly they are triggering inside of you. We often carry unhealed experiences with us and when we feel this hurt or anger, we may act on them without understanding the deeper seed. It can take some reflection and work with our soul to acknowledge that our pain can take time to heal and learn to pivot negative emotions with some loving thoughts towards ourselves. Our emotions are our body’s way of communicating what is going on in the inside. Our compass can help us be more aware of where we are feeling love and where we still may be experiencing some pain. Discomfort may be masked negative emotions. When we feel negative emotions towards someone, It can be hard to understand that we are acting as mirrors for each other. How you may think another person makes you feel is actually a mirror to show you where you need healing. We may not always heal those experiences instantly just because we have been triggered, but we can work with them. We can use them to our advantage. We can be quick to react rather than giving ourselves time with our negative emotions that become triggered. We may not be disciplined enough to give ourselves time for a response. Sometimes it’s even wiser not to respond until you know what is really going on from the inside. A small start is to simply pay attention to when you are feeling angry, negative, or tempted to enter an argument, take some deep breaths and count to ten before responding. This may be tricky in the instant, so you may also try to excuse yourself, or kindly walk away. If you can recognize when you are feeling these emotions, you can buy yourself a little time before you choose an altercation. You can use the opportunity from the person that triggered the emotions to transcend the negative feelings. It can be a small start of simply not joining every argument your ego wants to react to. It also helps you break some habits of feeling angry easy. Most of this inner work and healing does take time. Especially when you have held anger for years. Often we do not tune in to see what may be going on within. It’s a journey. Being angry and feeling negative is not helpful to your mind, body, and spirit. If often manifests in your health. So recognizing and dealing with negative emotions is not just an attempt in being happy and feeling good, it is also helpful to assist in your health and prevention of illnesses. Working through negative emotions can be considered good medicine for your immune system. The key is being gentle with yourself and understand we all go through things in our life that deserve the attention to heal. The reason anger can be hurtful and uncomfortable is because it’s like a poison with much potential damage to the body. Unless we learn to channel these feelings in a positive and productive way, we are harming ourselves. When we point that anger towards others we aren’t healing and spreading more poison within. Awareness is the first step. Then you can move on towards giving space to these emotions and work at practicing our reactions. We don’t often change our habits overnight, but we can allow them some time and space to improve and help our mind, body, and soul to thrive better in the process. Health is certainly not only what we eat and our physical activity, but very importantly the thoughts we think and emotions we feel.